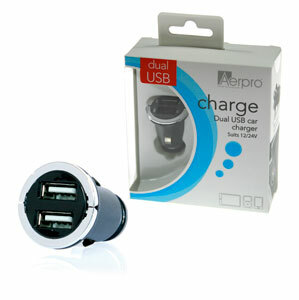 This Aerpro smart charger plugs into the vehicle's cigarette lighter socket and provides twin USB Port Charging. Note: For optimal charging performance, all android tablets and iPad's should be connected to the designated ports. All kinds of smart phones can be connected to any port or both.